CBD oil for dogs is becoming a hot topic with more and more pet owners beginning to see how much CBD can help. It may surprise you, but using cannabis to treat animals is not new; Ancient Greeks used cannabis to treat their horses for everything from colic to battle wounds. Even in 19th-century England, a pharmacologist named Walter E. Dixon was researching and publishing articles on the therapeutic effects of cannabis on animals. In the past couple of years, CBD oil has quickly grown in popularity. Although only in the beginning stages of research, the results are promising (for a more in-depth study, click here). As a result, many dog owners and veterinarians are turning to CBD oil. One great thing about CBD oil is there are no psychotropic effects—this means there’s no risk of your dog getting “high.” Instead, CBD works naturally by activating your dog’s cannabinoid receptors, which help regulate their bodies. Cannabinoid receptors are what make up the Endocannabinoid System (ECS). The ECS manages several bodily systems and helps maintain homeostasis. When you introduce cannabinoids, like CBD, ECS receptors become activated. There are two different kinds of receptors: CB1 and CB2. CB1 receptors are in the brain and central nervous system, while CB2 receptors are in the immune, gastrointestinal, and peripheral nervous system. Dogs are the species with the highest number of cannabinoid receptors in their brain—meaning they’re hyper-responsive to cannabinoids. Because of this, many pet owners are turning to CBD oil, and find it offers a world of benefits for their pup! And it’s not just dogs; CBD can help cats too! CBD oil can be useful for dogs that suffer from pain, anxiety, cancer, epilepsy, and arthritis. For many conditions, vets will typically prescribe powerful prescription medications that often have unpleasant side effects. In stark contrast, research has found that CBD oil has very few side effects—with many dog owners finding it provides the same relief as harsh medications. 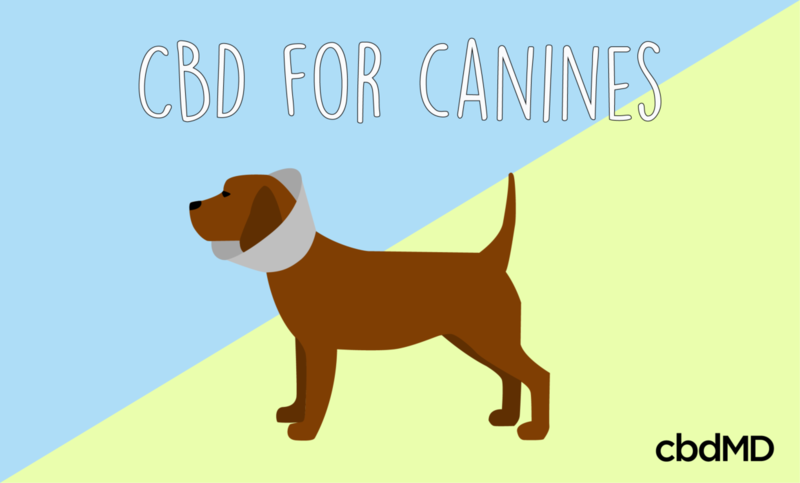 One of the most common uses of CBD oil for dogs is for pain relief. CBD oil activates the CB1 receptors in the brainstem - the part of the brain that controls pain - and regulates pain. For more details on this complicated process, check out this study). Here are some common reasons dogs might experience chronic pain. A 2017 Cornell study found that giving arthritic dogs CBD oil twice daily over a four-week period resulted in a “clinically significant reduction in pain and an increase in activity.” Based on the anecdotal evidence as well as new studies that support the benefits of CBD oil for dogs, many vets are calling for more research. This article is a great example of how so many people in the veterinary community want more research done on CBD oil...A.S.A.P.! Separation anxiety is when a dog acts distressed whenever they become separated from their guardian. Their aggressive and destructive behavior can be distressing for everyone involved, including the owner. 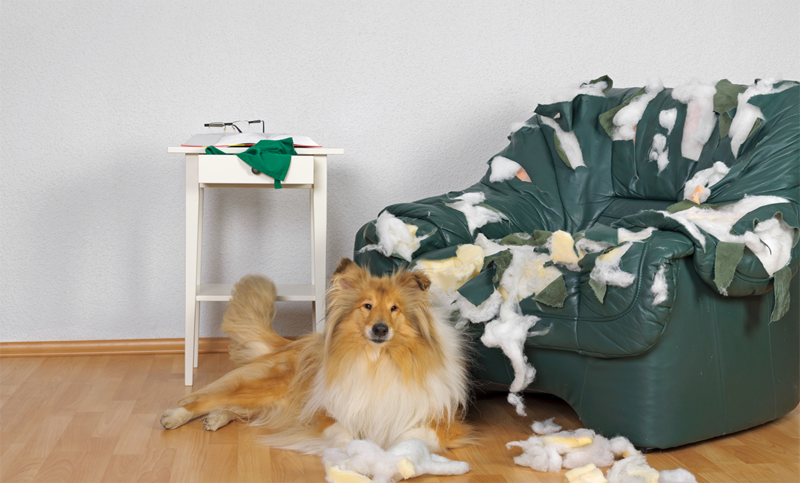 No one likes to come home and find their couch ripped to shreds or the remote chewed to a pulp. Separation anxiety affects each dog differently, making it difficult to address. 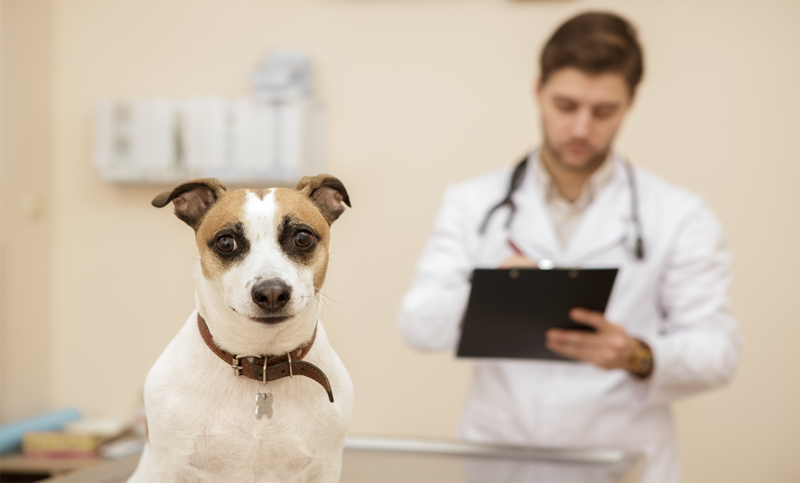 Many pet owners will often opt to sedate their pets; which may work for a short-term issue, but if the anxiety is ongoing, constant sedation can be harmful. Comparatively, CBD oil can be useful for treating dogs with anxiety and is a 100% natural way to calm your canine buddy. Caring for a dog with cancer can be difficult, for both you and your pet. Luckily, evidence suggests CBD oil might alleviate a host of symptoms associated with cancer: lack of appetite, chronic pain, fatigue, and nausea. Regardless of whether your dog’s diagnosis, you don’t want them to be in pain or uncomfortable. Studies have shown that cannabinoids (such as CBD oil) may help stimulate appetite. Being able to eat again can help give your dog the strength and energy needed to get back on the road to recovery. New research also shows CBD oil can be very effective against nausea. In the 1970s, scientists began to research cannabis treatment for chemotherapy patients due to its ability to reduce nausea. But by the early 2000s, research in this area had begun to shift towards CBD because it was as effective as THC but—unlike its infamous cousin - was 100% non-psychoactive. Numerous studies (including this one published in 2012 by researchers at the University of Milan) also suggest CBD oil appears to have anti-carcinogenic properties. Of course, more research is necessary, but the initial results look promising. One of the most publicized uses of CBD oil is for children with severe seizure disorders, like Dravet Syndrome. The FDA recently approved a CBD epilepsy medication called Epidiolex for seizure sufferers. Unfortunately, almost all the research has focused on humans, so there’s a lack of information on treating epileptic pets. Enter Dr. Stephanie McGrath, an assistant professor and veterinarian. She recently conducted a study on CBD oil for dogs with epilepsy. McGrath believes that if CBD oil is useful for pediatric patients, then it should also be useful for canine sufferers. Her initial findings found an improvement in 89% of the participating dogs, though further evaluation is needed. If you want to read more about the study, click here. Arthritis occurs when the joint connecting two bones become inflamed. Depending on the severity, it can be excruciatingly painful and is as common in dogs as it is in humans. Luckily, Cornell has been researching arthritic dogs and their response to CBD oil treatment—with positive results. Studies also found that CBD has anti-inflammatory effects. Chronic inflammation is one of the leading causes of many conditions, including arthritis. Therefore, CBD could potentially reduce inflammation while simultaneously providing pain relief for arthritic dogs. While there’s no permanent fix for arthritis, it’s possible to alleviate symptoms and improve the quality of your dog’s life. Because it’s a relatively new field, research regarding CBD oil use for dogs is still in the early stages. You should always consult your vet before starting a CBD regimen with your dog. In general, it’s always safer to start with a small dosage and adjust accordingly. CBD oil for dogs generally comes in tincture drops, though CBD dog treats are also available. The benefit of using a tincture is that you have better control over the dosage. You can either use the dropper and put it under your dog’s tongue or, if it’s easier than other methods, add it to their food. We know you care about the quality of food you give your dog, and that’s why it’s important to pay as much attention to the quality of your CBD oil. Always make sure you purchase CBD products that have <0.3% THC and clearly label the amount of CBD content.  Make sure the products are third-party tested and the results are easy to find. It’s important to take precautions so that you can be confident you’re giving your dog the best possible quality CBD oil.